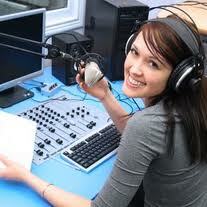 Radio is a technology used for signal transmission and modulation by electromagnetic radiation (electromagnetic waves). This wave passes and travel by air and can also travel through the vacuum of space, because this wave does not require the carrier medium (such as air molecules). Radio waves are a form of electromagnetic radiation, and is formed when electrically charged objects is modulated (increased frequency) at frequencies contained in the radio frequency (RF) in an electromagnetic spectrum. These radio waves are in the range of 10 hertz (Hz) to several gigahertz (GHz), and electromagnetic radiation moves by way of oscillating electric and magnetic. Other electromagnetic waves, which have frequencies above the radio waves include gamma rays, X-rays, infrared, ultraviolet, and visible light. When the radio waves transmitted through the cable, the oscillation of electric and magnetic fields are expressed in the form of alternating current and voltage on the cable. This can then be converted into an audio signal or any other that carries information. Although the word 'radio' is used for matters relating to the receiver of sound waves, but wave transmission is used as the basis of the wave on television, radio, radar and cell phones in general. Basic theory of electromagnetic wave propagation was first described in 1873 by James Clerk Maxwell in his paper at the Royal Society about the dynamics of electromagnetic field theory (in English: A dynamical theory of the electromagnetic field), based on the results of her research work between 1861 and 1865. In 1878, David E. Hughes was the first to transmit and receive radio waves when he found that the induction balance caused disruption to phone product. He demonstrated his discovery to the Royal Society in 1880 but only say it was just an induction. Is Heinrich Rudolf Hertz who, between 1886 and 1888, the first time to prove Maxwell's theory through experiment, demonstrating that radio radiation had all the wave properties (now called Hertzian waves), and found that the electromagnetic equations can be formulated into a partial differential equation called the wave equation. Many of the early use of the maritime radio, for sending telegraphic messages using Morse code between ships and land. One of the early users included the Japanese Navy spy on the Russian fleet at the Battle of Tsushima in 1901. One use of the most memorable was at the time of the sinking of the RMS Titanic in 1912, including communications between operators on a sinking ship and nearby ships, and communication to ground stations to register the saved. German use of radio communications for diplomatic messages when the underwater cable is cut by the British. United States convey Fourteen Principal President Woodrow Wilson to Germany via radio during the war. Press start to be done in the 1920s, with the popularity of radio, especially in Europe and the United States. In addition to the broadcast, broadcast point-to-point, including phone and re-broadcast radio program, became popular in the 1920s and the 1930s. AM radio (amplitude modulation) is working with the principle of radio waves and waves modulate the audio. Both these gelombangg together have a constant amplitude. But the process is then change the amplitude modulation wave Conductor (radio) in accordance with the amplitude of the audio wave. In 1896 the Italian scientist, Guglielmo Marconi received a patent for wireless telegraphy that uses two circuits. At the time of this signal can only be sent at close range. However, this is what started the development of radio technology. In 1897 Marconi re-published the discovery that the wireless signal can be transmitted at a greater distance (12 miles). Subsequently, in 1899 Marconi successfully perform wireless communication between France and England through the English Channel using a Tesla oscillator. John Ambrose Fleming in 1904 discovered that the audion tube can be used as a wireless receiver for this radio technology. Two years later Dr. Lee DeForest discovered electron tube consisting of three elements (triode audion). This discovery allows the sound waves transmitted through a wireless communication system. But the captured signal is still very weak. It was only in 1912 [[Edwin Howard Armstrong discovered radio wave amplifier is also called a radio amplifier. This tool works by capturing the electromagnetic signals from radio transmissions and provides a signal back from the tube. That way the signal strength will increase as much as 20,000 times per second. The voice that was captured was also much more powerful that could be heard directly without using earphones. This discovery then becomes very important in radio communications systems because it is much more efficient than previous tools. Nevertheless patent falls into the hands of Dr. amplifier. Lee DeForest. Until now, the radio amplifier is still the core technology on the aircraft radio. Radio FM (frequency modulation) to work with principles similar to AM radio, namely by modulating the radio wave (Conductor) with an audio wave. However, the FM radio modulation process causes a change in frequency. When AM radio commonly used, Armstrong found that another problem lies in the type of radio signal is transmitted. At that time the audio wave is transmitted along the radio wave using amplitude modulation (AM). This modulation is very vulnerable to weather disturbances. In the late 1920s, Armstrong began to try to use the wave amplitude modulation where the Conductor (radio) is made constant. In 1933 he finally found a system of frequency modulation (FM), which produces much more clear sound, and not interrupted by bad weather. Unfortunately this technology is not necessarily used in bulk. The economic depression of the 1930s led to the radio industry reluctant to adopt this new system because it requires the replacement of transmitters and receivers costly. New in 1940 Armstrong was able to establish the first FM radio station with its own cost. Two years later the Federal Communications Commission (FCC) has allocated a frequency for the FM radio station that was built Armstrong. Take long for the modulation frequency to become a widely used system. In addition, the patent is never obtained by Armstrong. Frustrated by the difficulties in fighting for the FM system, Armstrong ended his life tragically by committing suicide. Luckily his wife then managed to fight for the rights of Armstrong for his discovery. It was only in the late 1960s FM into a system that is really well established. Almost 2,000 FM radio stations across America, become advocates FM microwave (microwave), FM finally really recognized as a leading systems in the various fields of communication.